This tough and tidy perennial sub-shrub brings long-lasting color to borders, rock gardens, and even containers and flower boxes. Since the flowers turn a rusty color in age, you get a variety of hues with each plant. Sulfur Buckwheat creates a big garden impact despite being such a diminutive plant. This exceedingly variable species can vary from a small perennial herb only 3 inches tall to a sprawling shrub over 3 feet across, with flowers white, cream, or sulfur-yellow depending on the variety. All have loose mats of mounding grey foliage, with blankets of umbrella-like flowers on short stalks. Blossoms mature to orange or rusty red in fall and persist on the plant, giving the illusion of an extremely long bloom season of variable color. These low, mat-forming perennials from dry mountain slopes are extremely tolerant of both heat and cold, and thrive in dry, hot, exposed sites, needing good drainage and very little water after becoming established. Check with your nursery for the best variety for your particular garden. Sulfur Buckwheat shines in rock gardens with other compact, evergreen shrubs, and in the front of dry, sunny, mixed borders, as well as in containers. Desert Willow is not a true willow, but its graceful linear leaves have the appearance of a willow. Despite this tree’s willow-like leaves, its orchid-like flowers show its catalpa origins. 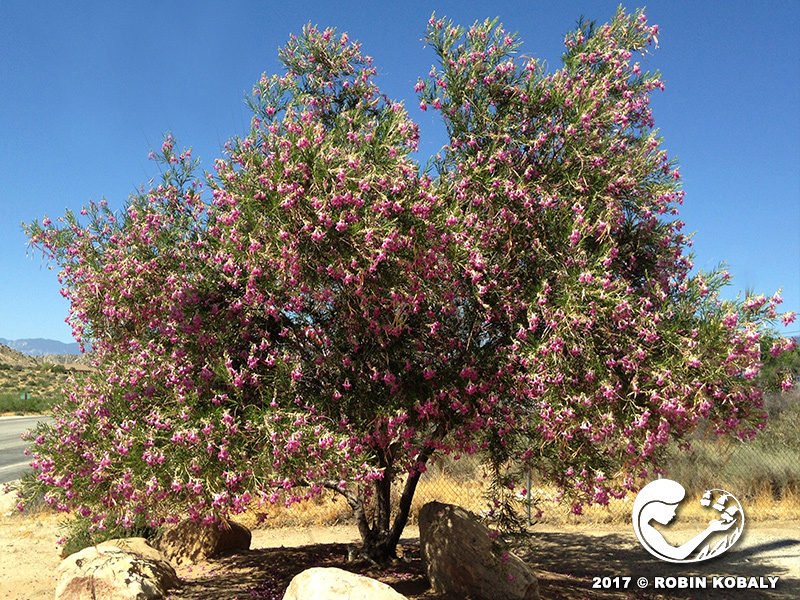 This long-blooming, sturdy desert tree attracts hummingbirds to its lovely flowers, and uses very little water in your yard. Our desert tortoise LOVES eating the flowers, which bloom until he returns to his den for hibernation each fall. 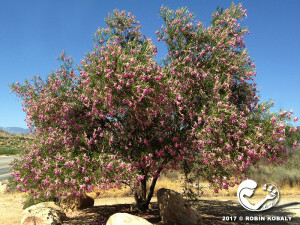 Desert Willow is a fast-growing, multi-trunked tree or large shrub that twists and leans as it reaches skyward, creating an interesting, open crown in age. Its long, narrow, bright green leaves give a willowy appearance, but this deciduous tree is actually a catalpa. Orchid-like, nectar-rich flowers attract bees, hummingbirds, and butterflies, and are followed by long, tan seedpods, which persist on the branches throughout winter dormancy. Ruffled, funnel-shaped flowers range from white to dark pink to burgundy, depending on the cultivar (pale pink in our local natives). Tolerates extreme heat and drought, but appreciates some summer water up to twice monthly. Great for sites where you need summer shade, but want winter sun, such as on a south-facing side of your home. Train into a shade or specimen tree with single or multiple trunks, or direct its growth as a large shrub with many branches as a windbreak, screen, or background planting. 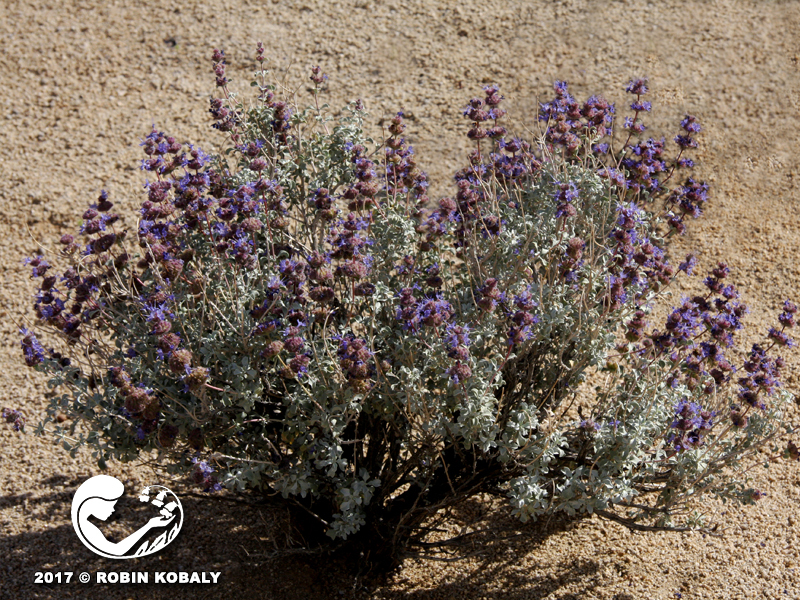 This under-appreciated southwest native plant is one of the most hardy, drought-tolerant, heat-tolerant, frost-tolerant, pest-free plants available for southwest gardens. Useful as an evergreen hedge, as a backdrop in naturalistic gardens, in mixed plantings, or as a specimen…you are sure to be pleased with this unfussy native plant. 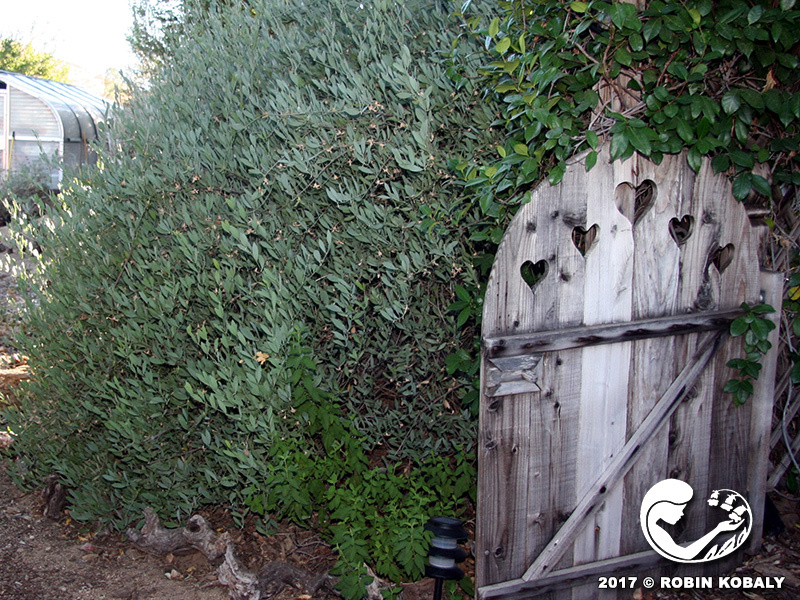 Jojoba is a long-lived, slow-growing dense evergreen shrub that is one of our most drought-tolerant, heat-tolerant native plants. Thick, leathery leaves grow upward so that only their edges face the sun during the hottest part of the day, reducing heat gain and moisture loss from leaf surfaces. Non-showy flowers on female plants produce acorn-like fruits containing a liquid wax prized as a stable lubricant for industrial applications, and for cosmetic and scalp preparations. Male and female flowers grow on separate plants, so fruits only develop on female plants with male plants nearby. Although wind-pollinated, bees collect pollen from male plants. This undemanding shrub has no pests, needs no maintenance, and requires no added water after it is established. Young plants may be cold sensitive, but mature plants are cold hardy. 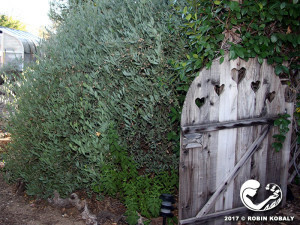 Jojoba’s dense foliage is perfect for screening or informal hedges. Great in naturalistic landscapes, in mixed plantings, or as a specimen. 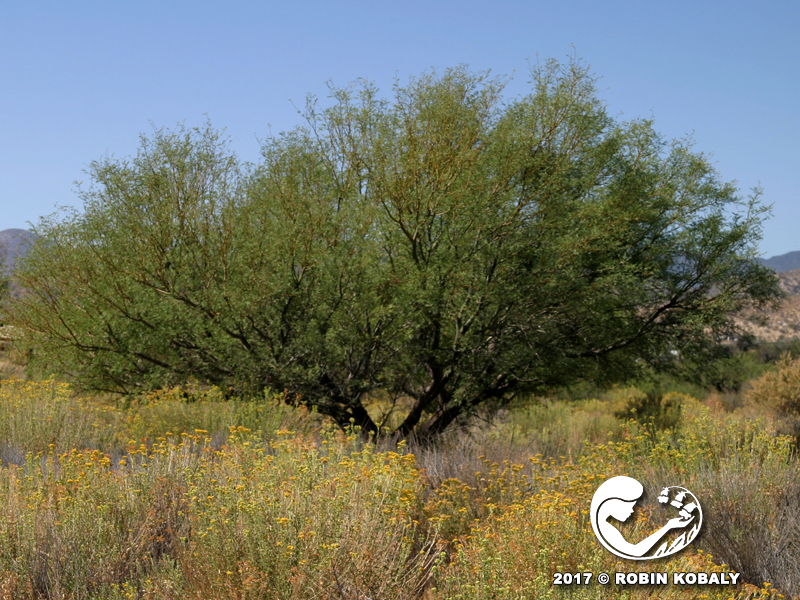 Honey Mesquite should be called the “giving tree” for its abundant gifts to wildlife, humans, the soil, and the environment. Its nutritious seed pods have fed wildlife and people for millennia, its bacterial root partners add essential nitrogen to the soil, its branches provide habitat to countless animals, and its pollen is made into delicious honey by bees. Honey Mesquite is a graceful, winter-deciduous tree/shrub with multiple trunks and feathery leaves that provide cool, filtered shade from spring to fall. Yellow catkin-like flowers in spring produce nutritious, tan, pea-like seed pods in late summer that have been made into sweet flour and cakes for millennia. Bees make delicious honey from the flowers, and bacterial root partners fix nitrogen, enriching the surrounding soil. Stems develop long, paired thorns, especially on young branches. 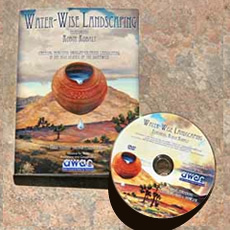 Water deeply and widely under the outermost branch tips to encourage a deep, extensive root system that can secure trees in strong winds. With its broad, rounded, weeping habit, this architectural tree is worthy as a focal point in both high and low desert gardens. Use in natural groupings to shade and cool patios and porches, or as a specimen tree. 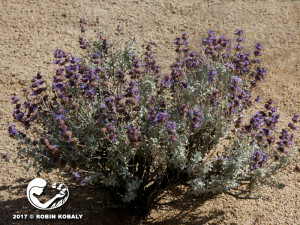 It’s hard to believe that this lush plant hails from our dry deserts. In days past, Basketbush Sumac was prized for its long, straight, flexible branches for basketmaking. 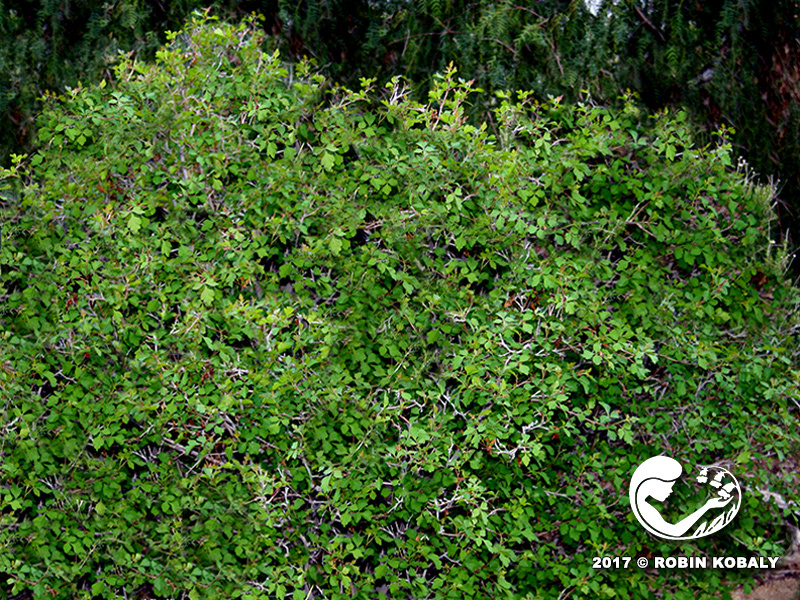 Today it is treasured for its dense, dark green foliage for hedges, background plantings, or screens in water-wise southwest gardens. Birds also love the ripe berries produced on female plants. Basketbush Sumac is a surprisingly lush plant to be found in dry desert habitats. 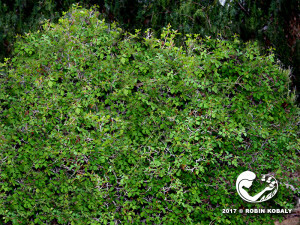 It is a tidy shrub with arching stems and dense leaves, spreading by rhizomes to form a thicket. This extremely cold-tolerant plant is a non-irritating, non-poisonous relative of poison oak, which it somewhat resembles. Known as Basketbush Sumac for its traditional use in basketry, it is also called Fragrant Sumac due to the scent of its crushed leaves, and Three-leaf Sumac from its leaf shape. 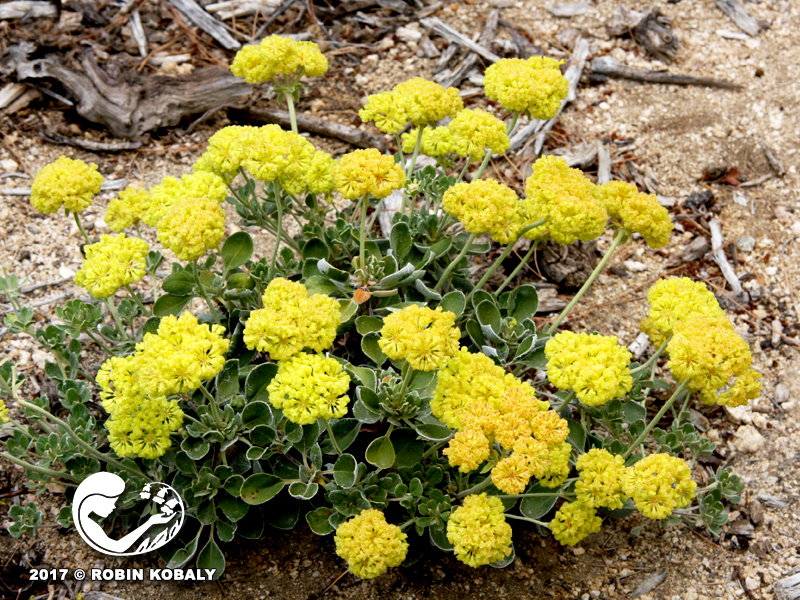 This moderately fast-growing California native has tiny, yellowish flowers in spring, producing clusters of red fruits on female plants, while retaining its deep green foliage all summer. Leaves often turn orange or red in autumn before falling for winter dormancy. The tart, edible red berries (actually hard drupes) are eaten by birds. Use this tough, lovely plant for borders, screens, windbreaks, hedges, mass plantings, on slopes, or in any areas with poor, dry soils.